Marcus Dean Diaz, 47, was arrested May 25, 2018, in Santa Clara for Assault with a Deadly Weapon on an Officer, Hit and Run and Resisting Arrest. 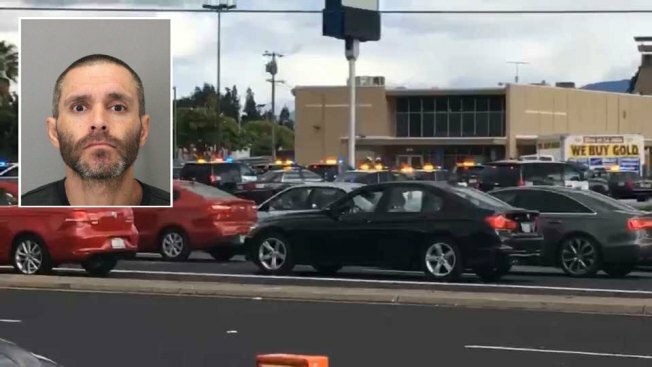 Santa Clara police have captured a man wanted for ramming a police car while fleeing a traffic stop last week. Officers spotted the vehicle of Marcus Dean Diaz of Sunnyvalle, 47, Friday afternoon at the Garden City parking lot. When officers approached, police said Diaz rammed the patrol cars again and took off. After a pursuit, police were able to stop him in the area of Stevens Creek and Saratoga after he hit a series of parked cars. Diaz was pulled over by police for a traffic stop last week, according to Capt. Dan Moreno. He said Diaz hit the police car several times and escaped, but police were able to identify the vehicle leading to his arrest. Diaz was arrested on charges of assault with a deadly weapon on an officer, hit and run and resisting arrest.